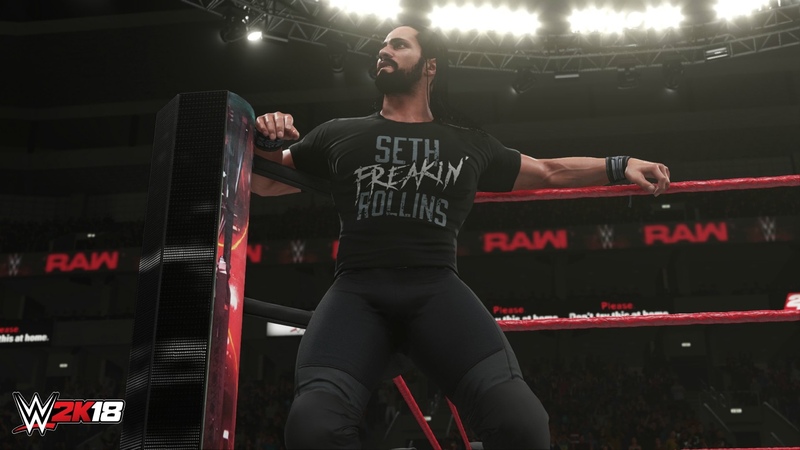 2K released a couple of WWE 2K18 screenshots of cover athlete, Seth Rollins today. Check them out and post your thoughts. Wow. This looks amazing, and not just the model it seems as if everything got some love! The new lighting system makes a huge, huge difference on the model. Was wondering how they were planning on catching up to the basketball side of the company since they mentioned in an interview trying to step up their graphics to the level of what the bball side was doing. Just waiting to see more now. Looks like they're using the same tech that NBA 2K is using this year. Looks great but I wanna see it in motion. This does look amazing, but for every HHH and Seth that take your breath away, there's way more warriors with helmet hair or burn victim Alexa blisses. Now I hope that translates to in-game and framerate. And of course my number one love, the championships!